Get Your Vision in Shape with CRT! Are you tired of wearing eyewear to correct nearsightedness? Do you dream of seeing sharp all day long, without bothersome eyeglasses or contacts? Ortho-k lenses may be the ideal option for you! Increasingly popular, orthokeratology (ortho-k) is an innovative method of vision correction that does not involve surgery, eyeglasses, or daytime contact lenses. Before bedtime, you insert specialised, rigid gas permeable lenses. As you sleep, these ortho-k lenses will mould and flatten the shape of your cornea gently, thereby correcting refractive error. Upon awakening, you simply remove the lenses to enjoy crystal-clear vision all day long. The effects of ortho-k are temporary – typically lasting only a few days – so you need to wear the reshaping lenses nightly. At Clearvue Vision Center, our Kent eye doctor fits patients with Corneal Refractive Therapy (CRT) lenses, from Paragon Vision Sciences and FDA-approved. 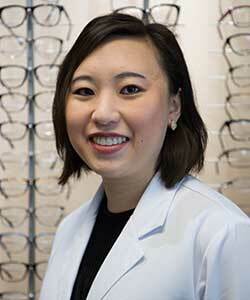 In general, ortho-k works well for people with mild to moderate nearsightedness. As long as your eyes are healthy, age makes no difference. People who work in arid or dusty environments love the comfort of ortho-k, as there're no eyeglasses to wipe clean or irritated eyes from dry contact lenses! Sports players and active individuals who are tired of glasses slipping down their nose or getting in the way, particularly appreciate the convenience of CRT lenses. Are the results of CRT lenses immediate? Most of our patients report improvement in their vision within the first day or two after wearing ortho-k overnight. However, it usually takes a few weeks to notice the full effects. During this transition period, you may see some halos around lights or a small glare. But these minor side effects tend to disappear quickly. What quality of vision is provided by ortho-k lenses? Vision shaping aims to correct your eyesight to 20/20 without any daytime eyewear. In many studies and FDA trials, over 65% of patients achieved 20/20 vision with CRT lenses. Even more impressive is the whopping 90% of patients who achieved 20/40 vision, which is the legal requirement for driving in most American states. In general, milder prescriptions for myopia have a higher success rate. To find out if your vision prescription can be corrected by ortho-k, contact our office. 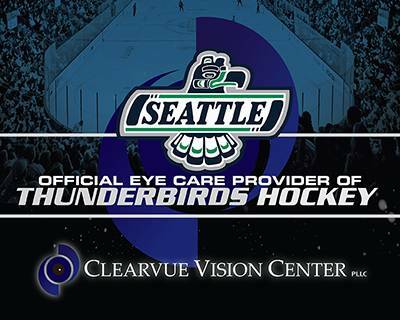 We are pleased to fit many patients from Renton and Kent, WA, with CRT vision shaping. No! Due to the bad reputation of old-fashioned hard contact lenses, many people associate rigid, gas permeable lenses with discomfort. Yet ortho-k lenses are crafted from new, modern materials that feel comfortable on your eye. In addition, you only wear CRT lenses while you doze – so you won’t feel a thing! My young child suffers from myopia that gets worse each year. Can ortho-k help? Many parents are disturbed to hear annually that their kid’s vision prescription has deteriorated – once again! Fortunately, ortho-k can help. Studies have demonstrated that orthokeratology is an effective method of myopia control. Wearing these lenses regularly can slow or stop the progression of myopia significantly. Call our Kent office to schedule a paediatric eye exam and to ask about fitting your child with ortho-k lenses for myopia control! Are you ready to enjoy crisp vision with no eyewear? Our Kent eye doctors are experienced and knowledgeable about orthokeratology. 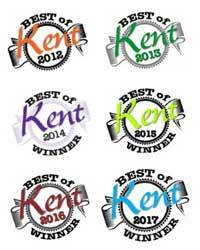 We perform expert fittings for our valued patients in the Renton and Kent area. If you have more questions, we’ll be pleased to answer them! We invite you to visit Clearvue Vision Center for more info and to discuss your candidacy for ortho-k and CRT lenses.